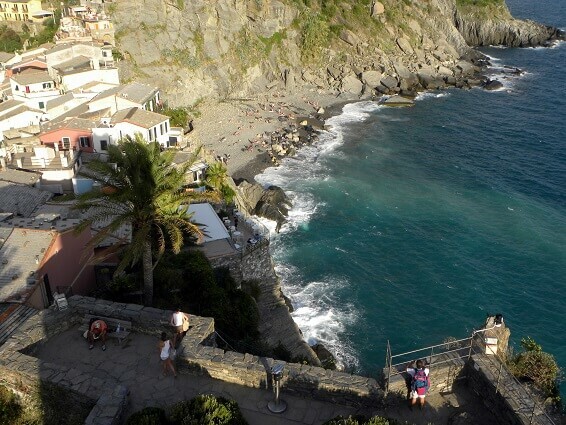 Located in the Liguria region, Cinque Terre (literally five Lands) is a place of rare environmental beauty and one of the most fascinating natural parks in Italy, declared World Heritage Site by the UNESCO. 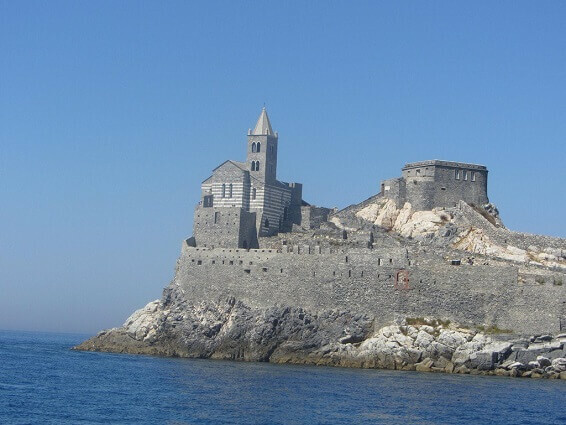 The five small fishing villages, rooted in antiquity, are perched on rocky cliffs and remained untouched and isolated for a long time, due to their position and to the morphology of the territory that made access difficult. 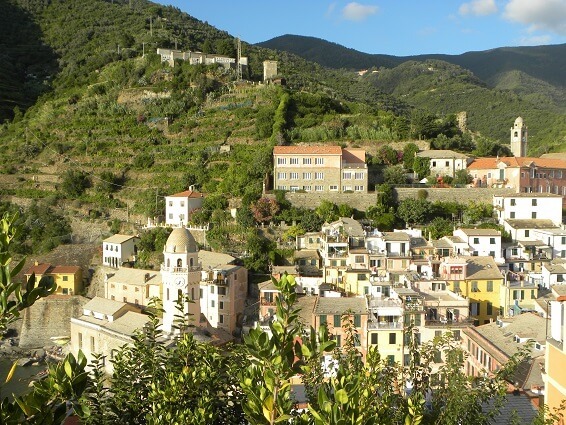 Arriving to Cinque Terre is much easier today but travelling in between the villages is not recommended by car and access to each community is anyway forbidden for nonresidents: the best way to move around is actually the train or the ferry which connect the lands very frequently. 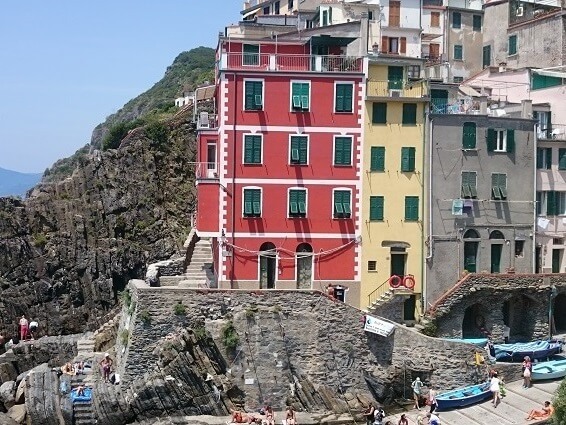 Cinque Terre is no longer isolated and it became an extremely popular and sometimes crowded destination but they still offer a feeling of remote authenticity with very few roads, a perfectly preserved architecture and a network of coastal and mountain trails that are a must for all amateurs. 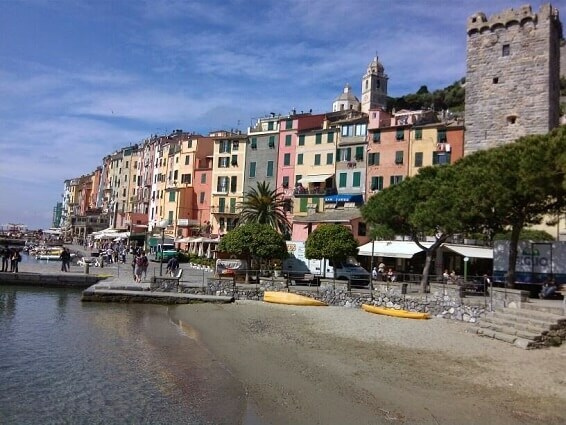 The colorful houses, the small fishing ports, the narrow streets, the stunning view of the blue sea…everything here contributes to recreate a true iconic atmosphere. 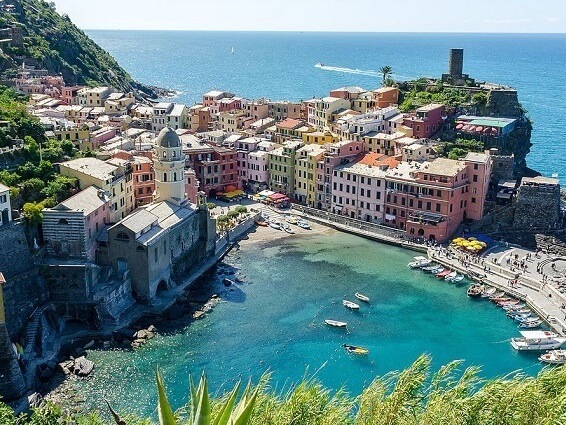 Coming from south, the five villages are Riomaggiore, Manarola, Corniglia, Vernazza, Monterosso: each one has its own special allure and is surrounded by a unique landscape featuring the steeply terraced cliffs built during the centuries for cultivating vines and olive trees. 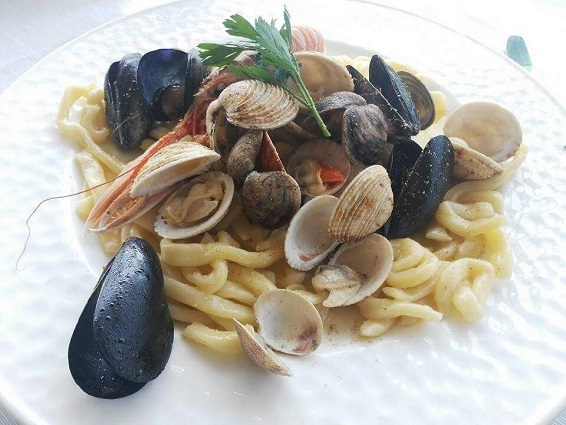 By the way, here you will find some delicious local wines among which the famous and precious Sciacchetrà, the prized dessert wine made from prime grapes.